Eastburn and Gray Sponsors Bucks County Symphony Orchestra’s 2019 Winter Concert - Eastburn & Gray, P.C. Eastburn and Gray, P.C. is proud to sponsor the Bucks County Symphony Orchestra’s (BCSO) 2019 Winter Concert. 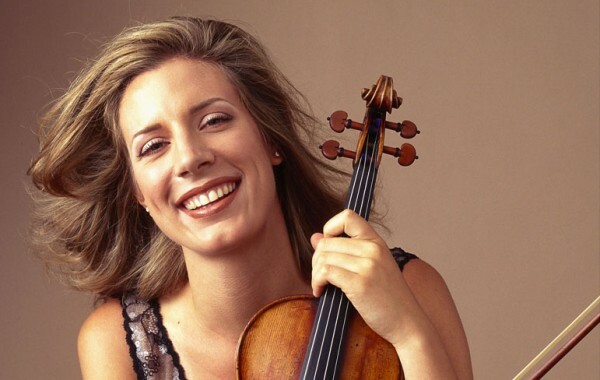 This year’s concert features violin virtuoso, Elizabeth Pitcairn. The concert begins at 3:00pm on Sunday, February 24, 2019 at Central Bucks High School South. The Bucks County Symphony is the premier community orchestra in Bucks County. Its mission is to serve the community by providing residents the opportunity to experience great classical music and hear internationally-acclaimed artists at local venues and at affordable ticket prices. Sarah A. Eastburn, Esq., an attorney in the firm’s Wills, Trusts and Estates practice, has served on the Board of Directors of the BCSO since 2015. She also serves as Secretary of the Board of Directors of the Bucks County Symphony Foundation. Ms. Eastburn’s paternal grandparents, Sandy and David, were two of the BCSO’s founding members. To learn more about the Bucks County Symphony Orchestra, or to purchase tickets for this event, please visit the BCSO website, http://www.buckscountysymphony.org.